Seeking display equipment for your outdoor displays at your trade show booths or retail outlets? 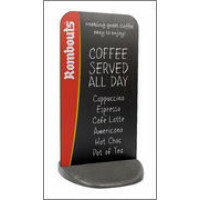 Scribo Displays offer you cost-effective and portable pavement signs and A-Boards that with PVC bases. 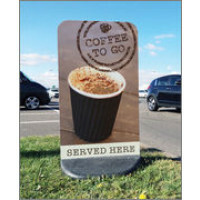 These pavement signs and A-Boards are designed with rounded corners and low centres of gravity, thus ensuring greater stability of the signboards and reducing the risk of injury to the users. 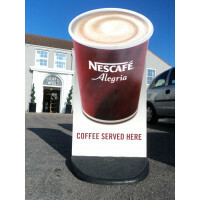 These pavement signs and A-Boards can be used for displaying printed applications and vinyl graphics. You can also soft chalk or liquid chalk pens to write on these pavement signs. 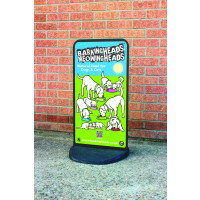 Go through our range of pavement signs and A-Boards to find the solution most suited to your requirements.